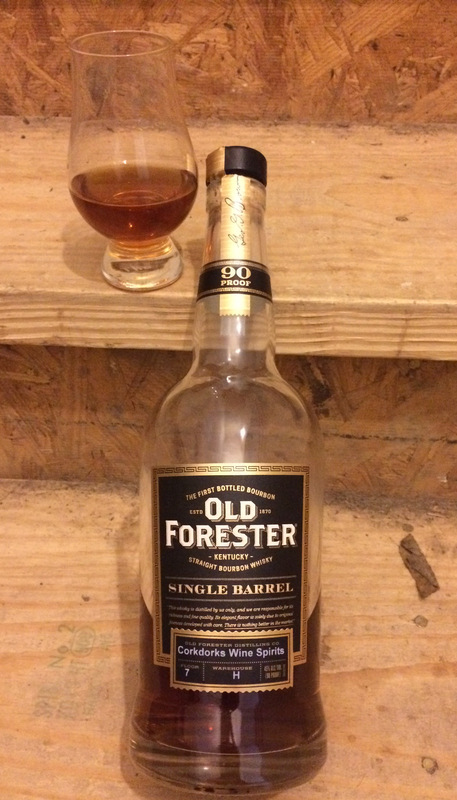 In trying to do some homework on the Old Forester Single Barrel program, it seems to have been very off/on over the last few years. A post from 2014 declared only a single store in Tennessee received a barrel & they were the first to do so in 4 years! I would normally be hesitant to post a review on a bottle from a private single barrel store select program but I’ve gotten good feedback from folks in other states, so I wanted to share should any of y’all see this in your local(s). For 90 proof, the nose is surprisingly somewhat strong of alcohol initially. Although have no fear, it quickly dissipates to a 1-2 punch of alcohol followed by nice hints of fruit or pastries. The tasting follows a similar dance card, but luckily this is no two-stepper! First response is a nice warmth that has the mind thinking ‘wait, isn’t this a 90 proof?’, which quickly moves towards light oak – not over bearing, just enough to let you know this has aged some, followed by solid tastes of sweet fruity goodness all around as it clears the palate. Almost all of the initial burn is gone by the time this is heading south, & the finishing flavors become even more prevalent. At one point during a tasting, I told John – this is straight up banana nut bread in a bottle! During my most recent tasting, I sampled this bottle along with: Elmer T Lee, Blanton’s & Weller 12. In my honest opinion, it hangs in there with all of them! we’ve had this exact same bottle plus one from another rack and loved both. Both quite different and punches above it’s weight as it competes nicely with the OF Whiskey Row 1920 Prohibition Style. Love that you all had some and enjoyed it too.